Saint Domingue on island of Hispaniola was once the most lucrative part of French colony on the Caribbean island from 1659 to 1809. But a slave revolt in which the battle of Vertierre or Vertieres was pivotal ended the colonization. With support of British government ended the French rule in Saint Domingue and the French were forced to withdraw themselves from this European colony in 1803. 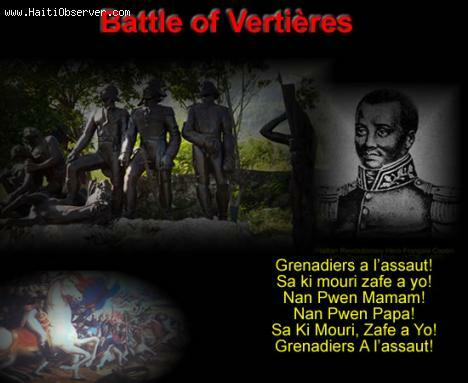 The decisive encounter between General Rochambeau of the French army and the separatist British supported leader General Jean-Jacques Dessalines is known as 'War of Vertières'. General Dessalines who was born as a slave led the struggle against the French. The British weakened the French by naval blockades and supplied weapons and ammunitions to General Dessalines. Sensing danger, Rochambeau shifted French headquarters from Port-au-Prince to Cap Français. Dessalines went on capturing places one after another like Jacmel, Cayes, Jérémie and Léogane. When the French Commander surrendered himself on October 3 at Port-au-Prince, stage for physical attack was set on Le Cap Français. Born a member of the gens de couleur libres, Alexandre Sabes Petion (1770 - 1818) began life between two worlds. It is a dichotomy he would continue, further marking his legacy as an instrumental force behind the struggle for independence of two lands, his own beloved Haiti, and the republic of Gran Colombia. Alexandre Petion began his career, after an expensive education in France, by joining the fight to force the British out of Saint-Domingue between 1798 and 1799. He would subsequently fight on the side of the mulattos against Toussaint L'Ouverture and the blacks, and was exiled to France when the rebellion ended; he returned soon after with General Leclerc and his assemblage of warships and troops. In 1802, he joined the nationalist force and gave his support to Jean-Jacques Dessalines, the future proclaimer of the Haitian Independence and self-declared ruler for life of the newly formed country. 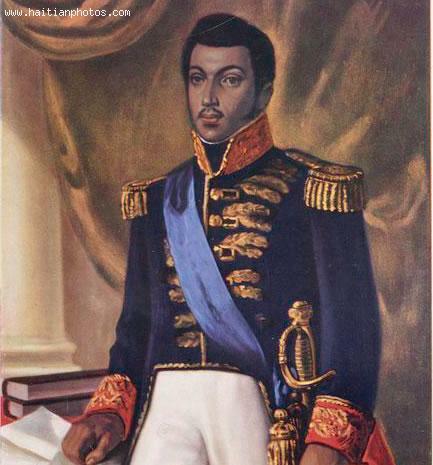 Although Haiti gained its independence from France and became the first black-led republic globally in 1804, foreign interests have continued to meddle in the island's affairs. France never forgave Haiti for defeating them and demanded 150 million francs as compensation for France's forfeiture of real estate and slaves. 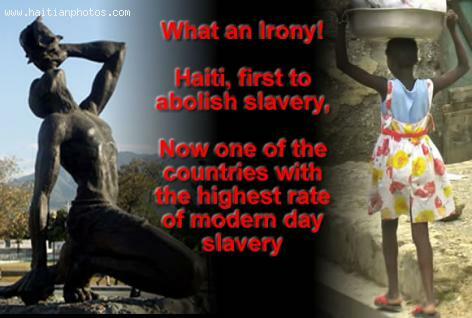 If Haiti didn't comply, France threatened to re-instate slavery. Repayment of the debt ruined Haiti's economy, a major factor in its poorest-nation-in-the Western-Hemisphere status. Well over a century passed before Haiti cleared its debt to France in 1947. Millions upon millions of interest dollars protracted repayment to French banks, who lent Haiti money to pay off interest on the principal. In 1922, the U.S. assumed part of Haiti's debt that France had reduced to 90 million francs. In demanding compensatory damages, France violated its Declaration of the Rights of Man which states: "Men are born free and remain free and equal in rights." On May 18, 2013, the Haitian National Flag will celebrate 210 years of independence from French foreign oppression. The history of the flag dates back to 1803 when--in a defiant move--revolutionary leader, Jean Jacques Dessalines, desecrated the French flag. 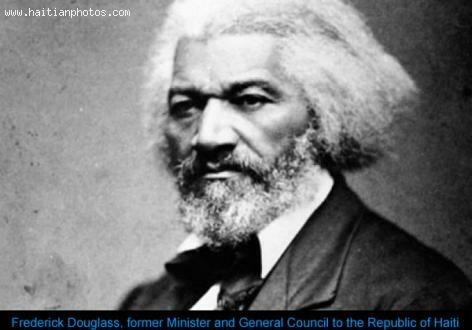 He removed the white-center panel of the tri-color and created the first national Black Republic flag. The lore of the Haitian National Flag is rich in symbolism. The most popular meaning of the blue-and-red horizontal panels is representation of skin tones: blue for black and red for white. When Alexandre Petion became the next leader of Haiti, he added a unifying element, the nation's first coat-of-arms. Situated within a small, white square, fusing blue-and-red side-by-side panels, a tableau reveals the history of slavery, the fight to end it, and its ultimate abolishment. U.S. Secretary of State, Hillary Clinton, developed a blood clot after falling in her home in early December. Clinton was nursing a stomach-flu virus, and had become dangerously dehydrated. The fall resulted in a brain concussion. As part of follow-up treatment, she was given a MRI, a diagnostic procedure that revealed a blood clot wedged between her skull and brain. Blood-thinner prescriptions have been administered to her to remove the clot. Secretary Clinton was scheduled to address a congressional hearing on the Benghazi assault, which took the life of Chris Stephens, U.S. Ambassador to Libya. Clinton accepted full responsibility for the assault, but the Obama administration does not find her at fault. However, right-wingers doubt her integrity, believing she is using her condition to avoid testifying. 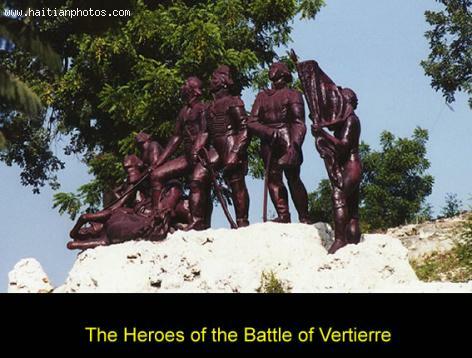 The battle of Vertieres near Cap-Haitian was motivated by slaves who hat the condition under which they have been living. Napoleon was confident that slavery would be reestablished in Saint-Domingue. General Rochambeau, who succeeded Leclerc as commander of the French army in Saint-Domingue, started implementing a series of atrocities including mass hangings and drowning of slaves suspected to be involved in insurrections. Dessalines relentlessly attacks one town after another. 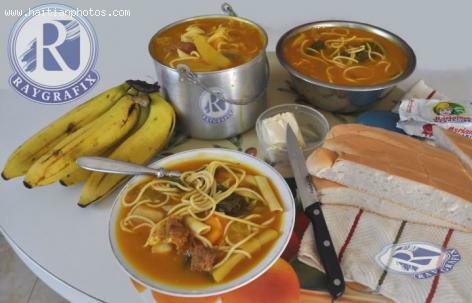 He started in the South of the Country with Cayes, then Jacmel, Léogane, Jérémie, Saint Marc and Port-au-Prince. These actually set the stage for the assault on le Cap Français in the last great battle of independence in Vertieres.